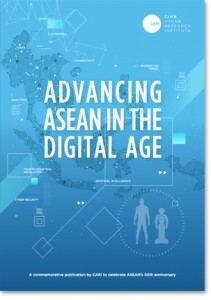 The publication was produced by CARI in collaboration with the ASEAN Business Club to capture the ideas and perspectives of business and thought leaders as well as policymakers on the how the digital age will impact the economic prosperity of the region. ASEAN, with a population of 634 million where half of which is below the age of 30, is touted as one of the fastest growing internet regions in the world. In fact, Google projects, out of the next billion internet users to come online, an astounding 600 million will be from the ASEAN region. 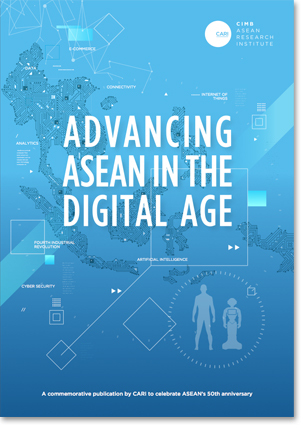 In ASEAN’s golden jubilee year, this publication captures what policymakers and business leaders believe to be the most important opportunities for countries and businesses as well as the potential pitfalls. The publication contains 37 articles, including those by heads of government, including Yang Amat Berhormat Dato’ Sri Mohd Najib Razak Prime Minister of Malaysia, the Honourable Malcolm Turnbull Prime Minister of Commonwealth of Australia, and H.E. Hun Sen Prime Minister of Kingdom of Cambodia and several other ministers in ASEAN. 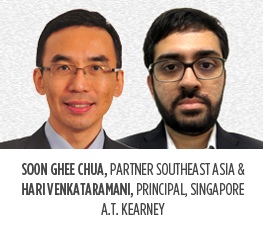 Prominent business leaders from 19 companies and from nine ASEAN countries and dialogue partners Australia, New Zealand, the European Union, China, the United States and Japan have also shared their views, including AirAsia Group, Allianz, Arup, Augen Software Group, Ayala Corporation, Bangkok Bank, BMW Asia Group, Bosch Southeast Asia, CIMB Group, GE ASEAN, ​Google ​Malaysia,​ ​Vietnam, Philippines​ ​and​ ​New​ ​Emerging​ ​Markets​, HSBC Asia-Pacific, IDG Ventures Vietnam, Linfox International Group, The Lippo Group of Companies, Nikkei Inc., SM Investments Corporation, SokSiphana&associates and Tencent. 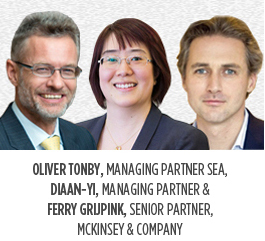 The publication also includes contributions from three knowledge partners Accenture, A.T. Kearney and McKinsey & Company.